Why CrossFit? Why Land Warrior CrossFit? 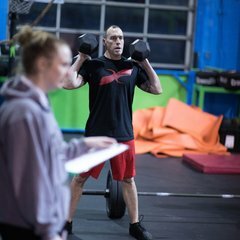 Dave found CrossFit in 2012 and while looking to spread the knowledge, inspiration and CrossFit methodology, opened Land Warrior CrossFit in November of that year. His goal was to create a place where every person is respected as an athlete and inspired to work hard. Shortly after opening the doors at Land Warrior, Dave was called up for his second deployment with the Connecticut Army National Guard to Camp Arifjan, Kuwait. He quickly found himself amongst fellow CrossFitters and was part of the all volunteer coaching staff at CrossFit Arifjan. 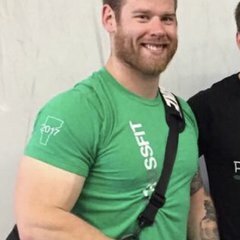 He was able share and spread his knowledge and enthusiasm with hundreds of soldiers and fellow Crossfitters during his free time over the 9 month deployment. Much has evolved at LWCF over the course of 6 years but Dave remains steadfast in his belief that "THIS PLACE WILL CHANGE YOU, IF YOU LET IT." Sue began her CrossFit journey in August of 2013. To say it’s changed her life is an understatement, and being able to help others grow in their journey is the number one reason she got her L1 in 2016. 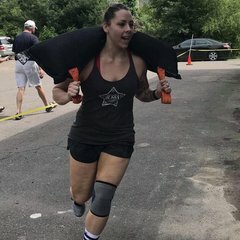 She enjoys the methodology of CrossFit, the idea of general physical preparedness and being able to coach future generations to a healthier way of living. Jason joined the Land Warrior coaching team in 2015 just as the new space opened in Suffield. His fitness journey started in High School where he was a three sport athlete. He played football, basketball and competed in power lifting where he was the New York State Champion his junior and senior year in the 181 lb. class. With a passion for fitness, he continued his journey to Springfield College where he played football and rugby. After earning a bachelors in Applied Exercise Science, he was hired as a personal trainer at Healthtrax Fitness & Wellness. A short time later he earned the position of Head Trainer and remained there for 3 years. It was during this time that he was introduced to CrossFit and, as in most cases, was immediately hooked.  At that facility he earned his L1 and started a CrossFit affiliate that grew rapidly. After less than a year, he knew it was necessary to relocate the affiliate in order to provide the best possible atmosphere for the athletes. After an amazing year and a half, he realized it was necessary for another move and that’s when he found Land Warrior CrossFit. He was then given the privilege to be the Head Coach, where he works tirelessly to make sure each athlete is given all the tools and direction to achieve their full potential. His biggest piece of advice for anyone trying to improve their fitness, decrease the stress in their lives and be a part of something special is simply to just walk through the door. Once you have a chance to meet the coaches and experience the community, you will realize that all the pieces you have been looking for to better yourself are right there. Jason let this place change him for the better and he knows it will do the same for you!!! Stacey joined the Land Warrior coaching team in May of 2015. She’s been participating in CrossFit since May 2012. Before CrossFit she was just a regular gym member. Once she discovered CrossFit she knew there was no going back. Stacey loves seeing new people discover the sport and do something that they never thought they could do. She feels that watching members accomplish a goal off their list makes it all so rewarding. Outside of the gym you can find her being an amazing hairdresser in Windsor Locks. 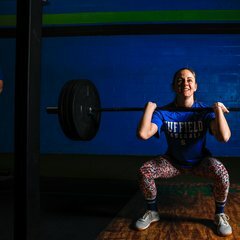 Brady began CrossFit in Land Warrior’s “pre-season sports program” back in 2012 to prepare himself for Suffield High School’s lacrosse and football seasons. What began as simply an exercise routine to stay in shape, evolved into a passion. Besides the physical improvements CrossFit offers, Brady enjoys the community that CrossFit creates and the attitude that everyone is welcomed regardless of their fitness level. Brady graduated from Roger Williams University in ’17 with a degree in mechanical engineering, but was sure to drop in to LWCF when he visited home. Today, he works for Morris Group, Inc. as an Additive Product Engineer helping to distribute metal 3D printers to customers all over the nation. When not working, he can be found either participating in the evening classes or coaching them. Connor started his CrossFit journey in his college gym in 2015. After struggling with obesity in his youth, Connor decided to take control of his health during college. After a year and a half of grinding on the elliptical and peaking with free weights he decided to give CrossFit a go. 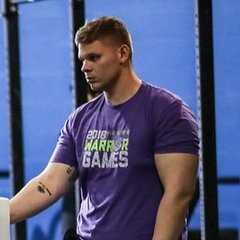 Before joining the college winter program at Land Warrior during his sophomore year, he tried to do CrossFit movements in the college gym and struggled with the form and technique. After his amazing experience and knowledge gained at Land Warrior, he started training by himself doing his own WODs at the college gym and attracted a lot of attention due to the progress he was making and confusion from all the different movements. Although he did not study exercise science or kinesiology at college, Connor has a passion for the human body movements especially with weightlifting. After training many of his friends at the school gym, he was convinced by one of his buddies who coached to get his Level 1. He began coaching the summer of his junior year at a gym near his school and has been coaching ever since. Kevin started his CrossFit journey at Land Warrior CrossFit in May 2016. He has always been very actively involved in sports both as an athlete and with coaching his children's teams. He's worked hard to live a healthy lifestyle by both eating well and going to the gym on and off since college. But, he'd always get bored with the gym and monotonous routines about half way through the membership and then start all over again around New Years. 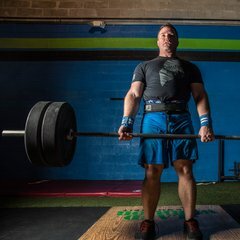 His decision to start at LWCF was based on a few reasons - his desire to learn how to do Olympic lifts properly while avoiding injury and bad habits, his hatred of cardio but knowing that he would be more apt to stick to it in competitive group setting and the fact that he was new to Suffield and it would be a great opportunity to meet new people. Over two years in, the feeling of looking forward to the gym hasn’t faded for Kevin. He feels he's in the best shape of his life and has met so many incredible people who share a common interest. Deciding to coach and teach has been a natural progression for Kevin. He's always enjoyed coaching his kids' sports and loves his job where he teaches surgeons how to navigate their brain and spine surgeries. It is Kevn's hope that his coaching helps others achieve their fitness and healthy lifestyle goals. Kristy has been a member of Land Warrior since February 2017. Over the course of the 2 years she has developed a passion for CrossFit and desire to help others on their fitness journey. Kristy is a stay at home mom of 2 boys - being a positive role model for her family gives her the drive to continuously seek ways to stay active and educate herself on the importance of proper nutritional habits. Kristy became a coach to help anyone at all fitness levels realize their potential and have fun in the process. 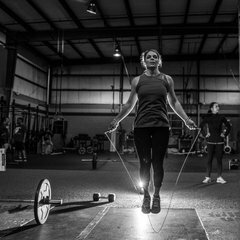 Brielle began her journey with CrossFit at college up north in Vermont. Being a Health Science and Exercise Science focused major, she loves movement and anything involving strength and burpees, so it was only a matter of time before she found CrossFit. As she learned the Olympic Weightlifting movements, she realized that she truly had a passion for moving a barbell. She later went on to compete in her first Oly competition at CrossFit Crag in the year of 2017 after only training for 3 months with a coach. 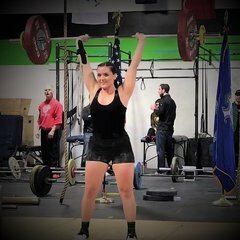 Few months after her first competition she competed in the North Eastern States at CrossFit Revelation taking home a Silver Medal. Brielle has been a multi-sport athlete her entire life playing sports such as soccer, track and field, MMA, basketball, dance, and more. 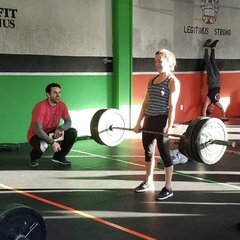 She loves the community that CrossFit creates and absolutely loves coaching like-minded people who want to push their fitness to the next level. Cooking delicious food while listening to podcasts about health sciences, fitness, and mental health are also a favorite pass time of hers. Brielle has attended several health/fitness seminars to gain and further her knowledge and understanding of the body to improve ultimate well-being within. Working with a physical therapy unit at a hospital all throughout college made her realize how short and impermanent life is. Focusing on preventing disease through proper fitness, nutrition and lifestyle habits is a HUGE passion of hers. Brielle wants to positively benefit, motivate and educate as many people as she can while learning from them in the process.